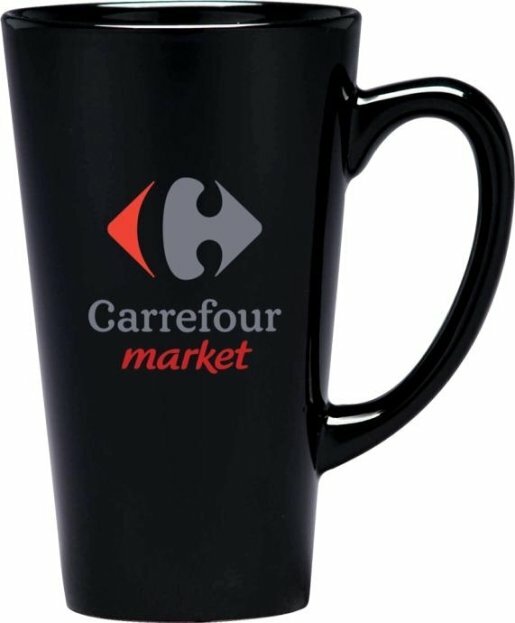 Get imported European styling at a low cost with your logo in the Café Grande Mug. Overall size of the coffee mug is 6 h x 4 3/4 top dia., 3 3/8 bottom diameter. You MUST order this coffee mug in whole cartons increments of 24 units. SafePack Cartons are required add $7.95 each 24 unit carton. Price includes a one color print on two sides in an area 2 1/2" w x 3 1/2" h.